It doesn’t happen every day that you get to borrow a watch for some time. Honestly it felt a little uncomfortable at first, because I’m always really careful with my own watches. Let alone the watch of someone else! 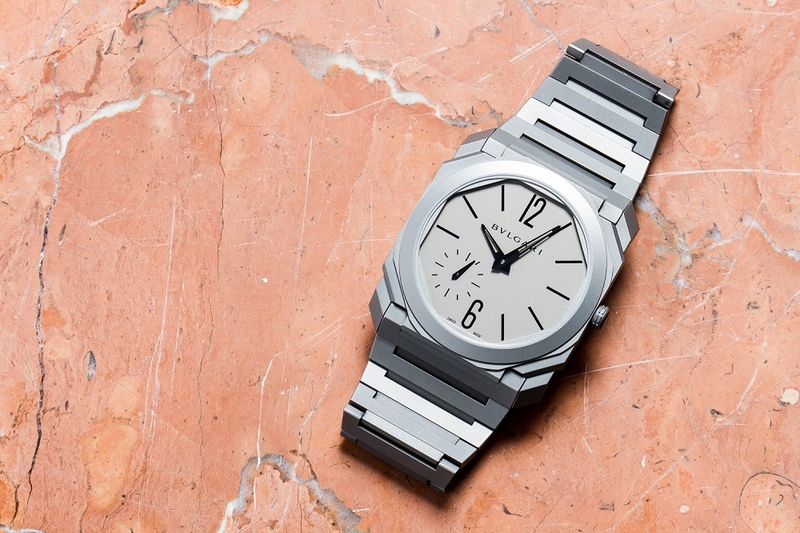 But when Alon of Ace Jewellers offered me to borrow his Bulgari Octo Finissimo for a while, I didn’t hesitate. I saw the watch a few times on social media and was intrigued by it. At first I didn’t really know what to think of it, was it beautiful or ugly?! In any case, it wasn’t a watch that I had on my wishlist. But I did have respect for the watch because of its thinness and because it’s so different than the pieces I’m used to wearing. 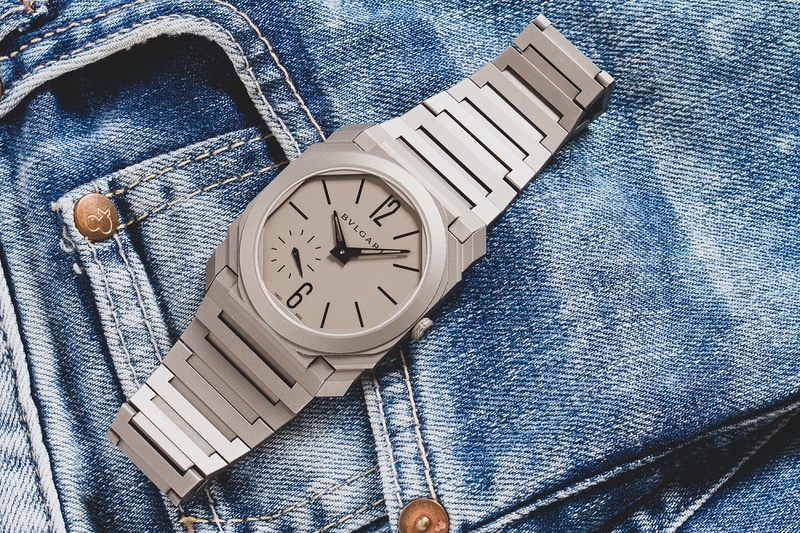 If you wear the Octo for the first time you immediately feel that you’re wearing a special watch. 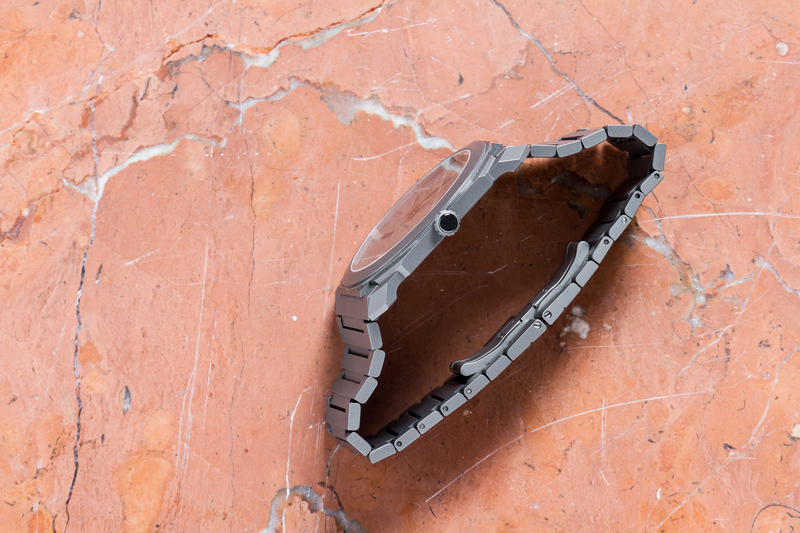 The watch is extremely thin and very lightweight. I was cycling home and after a few minutes I forgot I was actually wearing a watch. My first love was a Panerai (which is actually too big for my wrist) and that’s hard to forget wearing. Uncomparable. I absolutely love see-through casebacks because I love to see the movement of the watch. The Octo also has this but with this watch the experience is completely different. It’s almost surrealistic to see a watch this thin and still see such a magnificent movement. If you couldn’t see it, you probably wouldn’t believe it. The sandblasted case and bracelet are phenomenal too. The bracelet moves so flexible on your wrist that - in combination with the lightweight - it almost feels like a second skin. Which is a really nice feeling. I kept the watch longer than planned and actually found it quite difficult to give it back. The following weeks I read some more about the Octo and started looking at videos. It’s almost impossible not to have respect for the watch if you look at this short documentary of Monochrome for instance. What a magnificent story! The Octo Finissimo… it wasn’t love at first sight but after wearing it and learning more about it, I really fell for it and the love has grown rapidly. Secretly, the watch took a really nice spot on my wishlist.